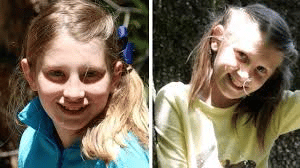 On June 25, 2015, Kelsie and Savannah Garrigues, their mother Tiffany, and their mother, Sharon Anderson, were stopped in traffic due to construction on their way to bring the girls to the airport on I-75 near Chattanooga, TN when a tractor-trailer failed to stop in time and collided with eight vehicles. The truck traveled more than the length of football field from the initial point of impact to its final rest position. In total, six people, including Tiffany, Kelsie, Savannah, and Sharon, were killed and another six people were injured in what several veteran officers stated was the most horrific crash they had ever seen. This was one of the few surface transportation crashes that the National Transportation Safety Board (NTSB) investigated that year.